Where can you find soft sandy beaches that extend far into the horizon, breathtaking views of gulf-side sunrises and sunsets, world-class fishing, and a thriving music scene that attracts performers from around the country? Bolivar Peninsula and the town of Crystal Beach, Texas of course. This tranquil gulf-side community is a peaceful counterpoint to Galveston, its bustling neighbor to the south. More than 27 miles of drivable beaches offer plenty of space to get away from the crowds, while the world-class fishing and birding will keep you coming back for more. Whether you’re looking for a quiet romantic retreat or an action-packed family vacation, this little-known Texas beach getaway is for you. While there are many ways to enjoy a trip to Bolivar Peninsula, much of what you will do revolves around spending time at the beach. Since all 27 miles of the peninsula’s shoreline can be driven, you can find that perfect spot to relish a fun day in the sun. Roll out your beach towel and work on that tan or dive into the warm waters of the Gulf of Mexico. 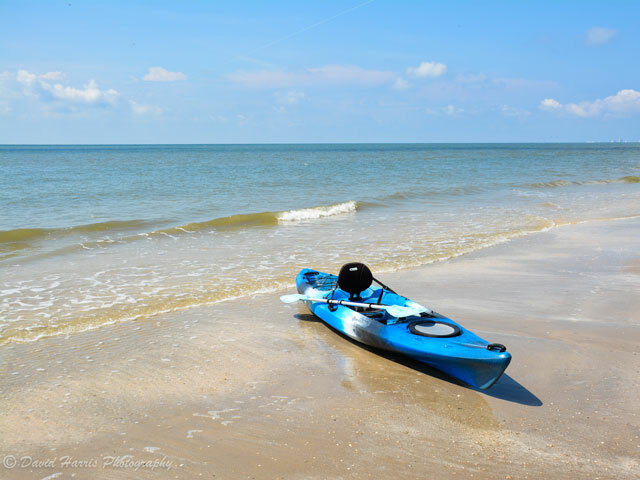 Ride the waves on a boogie board, stroll the beach looking for shells and shark teeth, and paddle along the shoreline in a kayak. With wide beaches and plenty of sand, you’ll have all the materials you need to build that majestic sandcastle you’ve been dreaming about. Check out these webcams for a look at Bolivar Peninsula’s beaches. Bolivar Peninsula’s coastal location makes it a prime destination for two more adventures: fishing and birding. You can cast a line from the beach, the North Jetties, and popular fishing spots in Crystal Beach such as Rollover Pass, French Town Road, and Fort Travis Seaside Park. Fish from any of these places and you just may catch one (or a few) of the flounder, black drum, speckled trout, and redfish that reside in the area in abundance. The peninsula is also a major destination for birding in Texas that is home to several sanctuaries, the largest of which is the Anahuac National Wildlife Refuge. Visit between October and March for a chance to see one of the many birds that migrate through the area, including as many as 27 species of ducks. Needless to say, you’ll definitely want to pack your camera and binoculars before you leave home. You will likely work up a Texas-sized appetite as you experience all Bolivar Peninsula has to offer. Fortunately, there are several restaurants in Crystal Beach that serve up delicious food and attract country and rock bands from across the Lone Star State. Eateries like HardHeads Icehouse & Grill and Tiki Beach Bar & Grill serve up delicious seafood and a hearty helping of live music. Another option, Stingaree Restaurant & Marina, pairs its savory eats and musical performances with jaw-dropping views of Galveston Bay. For a gooey slice of pizza or some tasty fried catfish, chart a course for Ocean Grille Restaurant, purveyors of a variety of American, Italian, and Mexican cuisine. The wide open beach, coastal waters teeming with fish to catch, all outdoor spaces to explore and birds to see, and the restaurants to eat at make Bolivar Peninsula and Crystal Beach stand out. Yet that’s not all. Throughout the year, the island hosts fishing tournaments, barbecue cook-offs, the famous Texas Crab Festival, and even a massive golf cart parade. 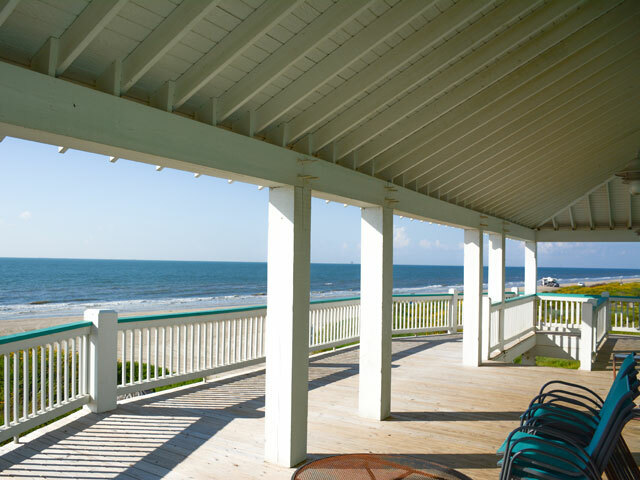 To experience everything that makes Bolivar Peninsula a one-of-a-kind Texas beach getaway, book one of the vacation rentals that have everything you need to feel right at home. If you have an RV, reserve a spot at either the Bolivar Peninsula RV Park or the Crystal Palms RV Park. What about the peninsula’s history? See two authentic pieces of it by heading to the south side of the peninsula, where you’ll find the remains of the 19th-century Fort Travis and the Point Bolivar Lighthouse. The lighthouse, with its eerie jet black façade, was built in 1872 and provided shelter for more than 100 people during the infamous Galveston Hurricane of 1900. Although you can’t tour the lighthouse, it still makes an excellent subject for a remarkable photo.